Simply put, Managed IT Services by Tencom is a total IT management solution where we manage your entire computer network environment at one flat rate per month. 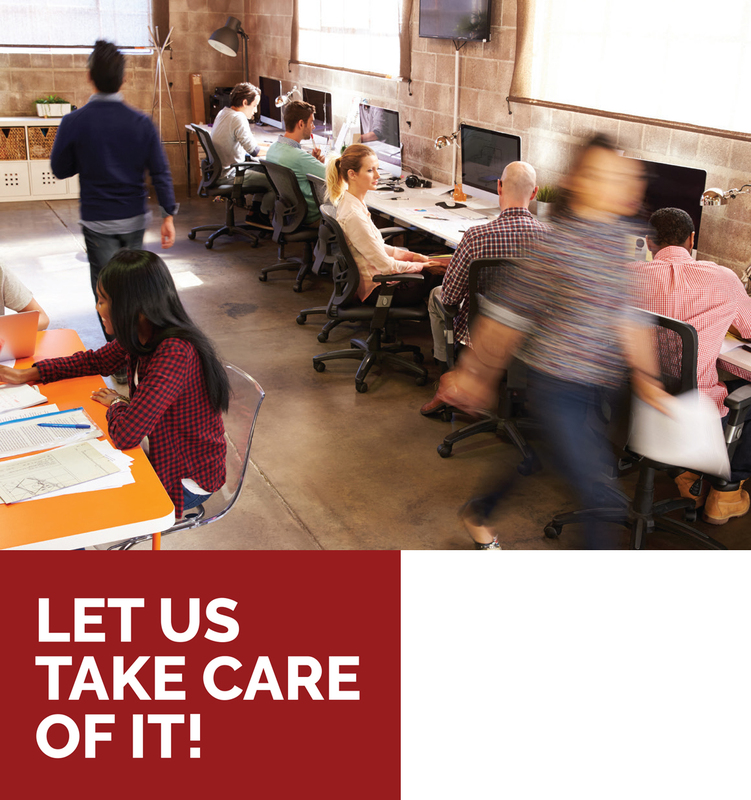 By partnering with Tencom you put all of the burden of maintaining your complex computer environment on us while you focus on doing what you do best. With Tencom Managed IT Services you also have the peace of mind in knowing that any spikes in your service needs will not cause a hit to your IT budget due to our flat rate monthly pricing model. If you are ready to see if we are a fit for your needs, go ahead and give us a call today at 731.288.8000. We are available via phone Monday - Friday, 8 am to 5 pm Central time. Our primary service area for Computer Consulting Services includes the following cities in Tennessee: Memphis, TN, Nashville, TN, Jackson, TN, Knoxville, TN and Chattanooga, TN and all other cities in West Tennessee, Middle Tennessee and East Tennessee. Our main office is in Dyersburg, TN but we also have offices in Nashville, TN and will soon be expanding to Memphis and Jackson, TN. For our Remote IT Support and Depot Repair Service we are currently supporting clients outside of Tennessee and have proven that distance doesn't matter. If you have an internet connection, we can help. If you would like to discuss further just give us a call at 731.288.8000. How do I partner with Tencom to manage my IT Infrastructure?